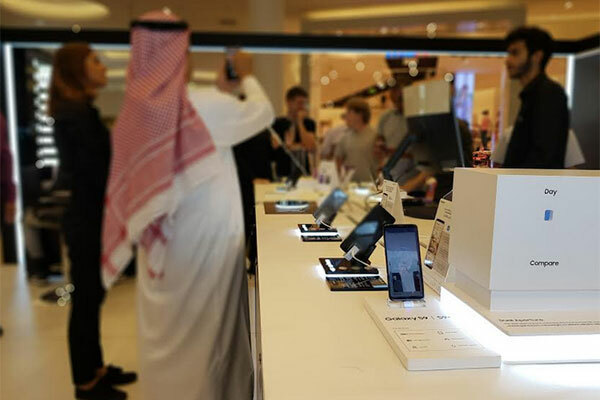 Samsung Gulf Electronics has announced the opening of its second Galaxy Studio in Bahrain, designed to bring consumers closer to the Samsung Galaxy Ecosystem of products than ever before through four exciting interactive zones. Located at City Centre Bahrain, the Kingdom’s largest shopping, leisure, and entertainment destination, the Galaxy Studio features hands-on experience table, as well as a zone to experience Bixby Translate function and super slow motion zones among many others. “We continue to deliver an unmatched product experience to our valued customers in Bahrain. Today, we are launching a brand new challenge through our Galaxy Studio, where we are giving people the opportunity to put some of our latest devices through their paces to test their capabilities which not only add-value to their lives, but also change the way they communicate,” said Tarek Sabbagh, head of IT and Mobile Division at Samsung Gulf Electronics. Visitors will experience the entire portfolio of the Samsung Galaxy ecosystem at the interactive experience solution; here they can freely explore the all-new Galaxy S9 and Galaxy S9+ in a unique way. The hands on table will host a variety of devices including the new Galaxy S series, Galaxy Note 8, and DeX Pad amongst many others. Consumers will also be given a chance to win incredible prizes. Any visitor who finishes two zones out of four will be entered into a draw for a chance to win Samsung products and instant giveaways. can also create their own GIFs in super slow-mo by incorporating loops, rewinds and more.In addition to this, Samsung enthusiasts are invited to explore the slow-motion function of the Galaxy S9 and Galaxy S9+. Here they can interact with props to create slow motion videos that represent them in an unusual or exciting new way.